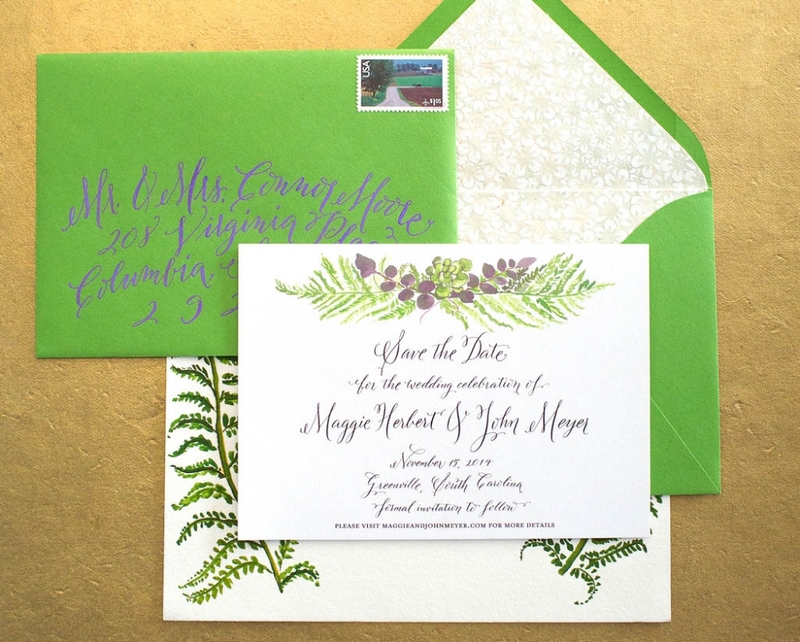 Maggie + John’s save-the-date showcases hand painted ferns above our Lynette style of calligraphy for their Greenville wedding. 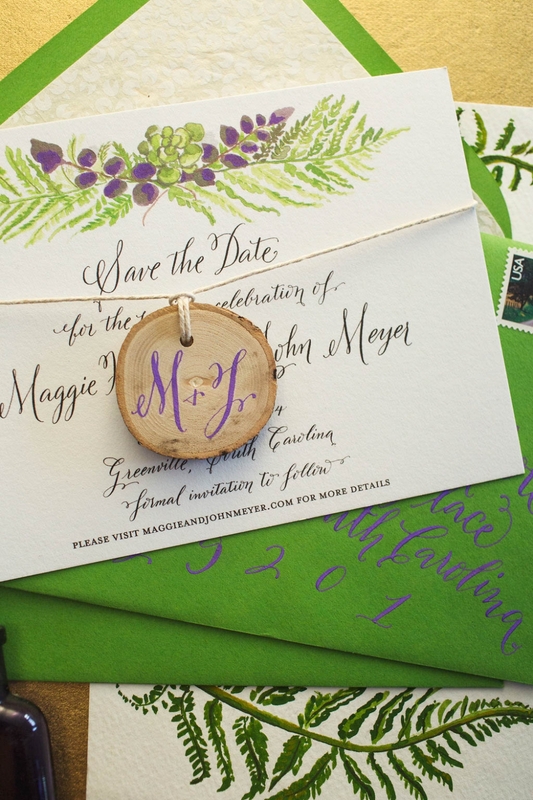 Digitally printed for a full-color design. 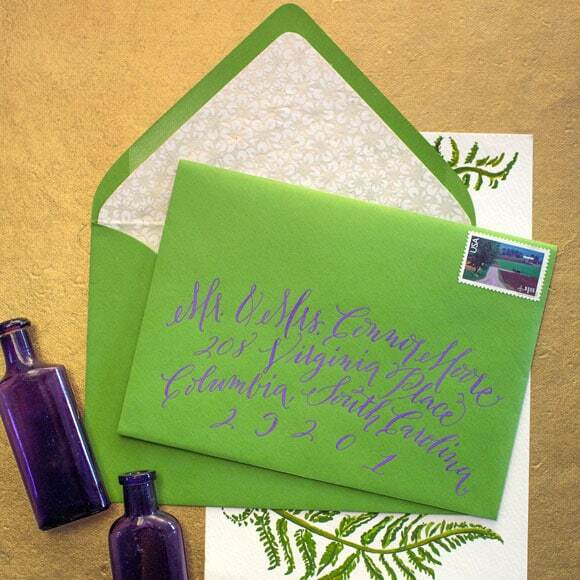 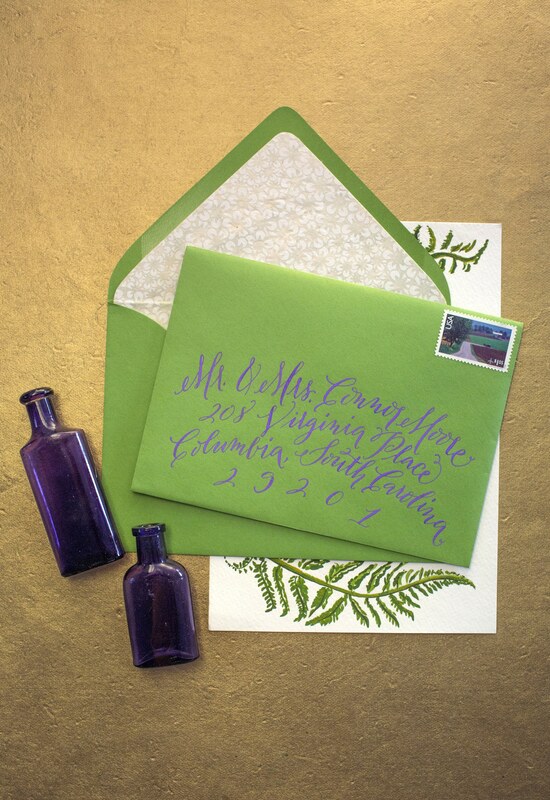 Kelly green envelopes are a fun pop of color that brighten each lucky recipient’s day!